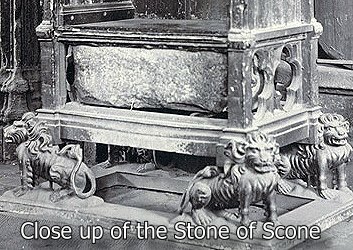 What is the The Stone of Scone? On 11 April 1951, the Stone of Scone was found on the site of the altar of Arbroath Abbey. It had been taken from Westminster Abbey by Scottish nationalist students. What is the Stone of Scone? 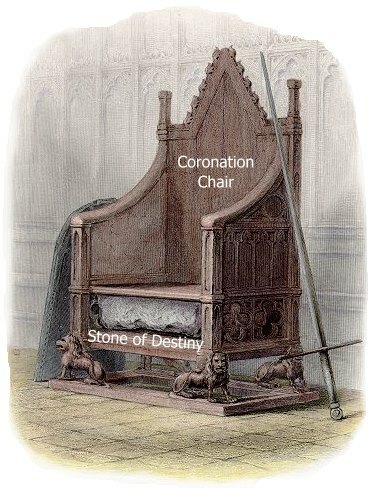 The Stone of Scone, or the Stone of Destiny, is a 152 kg coronation stone. It has been used in coronation ceremonies since Kenneth Mac Alpin became the first King of Scots in 847. It is said that the stone could identify a rightful ruler of the country by emitting a loud cry. Why is it called Stone of Scone? The stone used to sit in Scone, now a suburb of Perth, on the Moot Hill, next to Scone Palace. What is the origin of the Stone of Scone? No one is sure of its origins but there are many theories. "In medieval times, many scholars believed it had biblical origins. Some thought it was the pillow on which Jacob dreamed of his ladder. Others believed it had been taken out of Egypt by the daughter of a pharaoh." In 1296, during the first Scottish War for Independence, the Stone of Scone was stolen by Edward I and taken to England. For the next 654 years, it remained in Westminster Abbey, London, serving as the coronation stone for British kings and queens. On Christmas Eve 1950, a group of four Scottish nationalist students reclaimed the stone for Scotland by breaking into Westminster Abbey and stealing it. The stone was taken back to Westminster Abbey. In 1996, 700 years after it was taken by Edward I, England agreed to return the Stone of Scone to Scotland. On St. Andrew’s day, a Scottish holiday, the stone was brought to Edinburgh and installed at Edinburgh Castle. Where is the Stone of Scone today? The stone is on display at Edinburgh Castle, which is open to the public seven days week. Will the Stone of Scone still be used as the coronation stone for future monarchs? Yes, the ancient stone will be taken to London for all future coronations. 11 April 1970: Apollo 13, the third lunar landing mission, is successfully launched from Cape Canaveral, Florida.